Candle production requires drilling holes for the candle wick. On the larger candles three holes are used. A customer recently came to AutoDrill with a request for a setup to drill the three wick hole pattern needed with large candles and the single centered wick hole common in smaller candles. 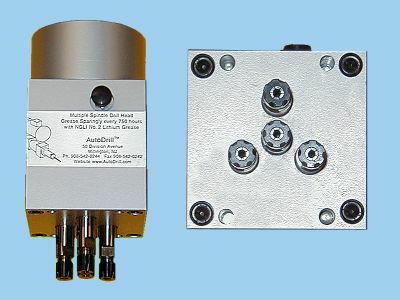 We suggested a single four spindle drill head for both requirements. The picture shows two views of the four spindle head supplied. By placing either one or three tools in the head either of the candle wick hole patterns could be produced.